Scientific publishing is in major turmoil due the exponential increase in new scientific journals, global publication business, and digital revolution. More than 32 years have passed since the publication of the first issue of the Scandinavian Journal of Work, Environment & Health. During this period, the Journal has grown into a truly international high-quality scientific periodical. It is published in English and is currently distributed to 42 countries. Seventy-eight percent of its subscribers and sixty-two percent of its papers originate from countries outside Scandinavia. However, the Journal still has strong and independent Scandinavian roots. It is not published by any commercial publication house, but instead is the product of the national institutes of occupational health in Scandinavia.  The aim of the Journal is to promote research in the field of occupational health and safety, consisting of a broad scope of such diverse areas as occupational medicine, toxicology, epidemiology, hygiene, physiology, psychology, ergonomics, and sociology. The impact factor of the Journal was 1.820 in 2005, and it has been among the three highest of the general occupational health journals for a long time. What do authors of good scientific articles expect from a scientific journal today? Primarily, they would probably like to publish their papers together with other good papers in their discipline, in a journal with a good reputation. Second, good accessibility to the published article through international databases and the internet (eg, via PubMed) is currently critical. High speed for the publication process and on-line services for authors are additional advantages. The subscribers of international journals are more and more often libraries or large agencies supplying a wide set of scientific journals in electronic format to their clients. For these clients, global accessibility and a competitive price of the electronic version of a journal are important. The success of scientific journals in the long run depends on their possibilities to continuously fulfill the changing requirements of both authors and subscribers while simultaneously offering a reasonable price. A respectable journal name such as ours is therefore not enough. Continuous improvements in quality, relevance, speed, and accessibility are needed to maintain the interest of future authors and subscribers. Although a high impact factor or other citation index is a good general indicator of the quality and accessibility of a scientific journal, it should be noted that an occupational health journal provides the best distribution of an article among occupational health scientists and therefore spreads new information efficiently—probably more efficiently than if a paper were published in a more general journal with a high impact factor or citation index. Moreover, impact factors and other citation indicators are dependent on the size and research activity of scientific fields and do not necessarily reflect the scientific quality of the articles. Quality is influenced more by the expertise of the editors and referees and the rejection rate of the Journal. Furthermore, the citation index of an individual paper may be higher in a well-known specific journal of a research field than in a general journal with a higher impact factor or other citation measurement. Along with last year’s decisions of its Board of Directors and the meeting of its associate editors, the Scandinavian Journal of Work, Environment & Health is now taking steps to further improve its relevance in the area of occupational and environmental health, the speed of its publication process, and its ­electronic publication and is examining new means with which to increase its accessibility. The development of the relevance of a journal mostly relies on the editors of the journal and the quality of its review process for submitted articles. The Scandinavian Journal of Work, Environment & Health has an excellent network and database of referees, many of them belonging to the international and Scandinavian editorial boards of the Journal. The reviews of the Journal—at least one being published in most issues—are well cited and therefore contribute to citation indicators of the Journal. Musculoskeletal research has been an established area of review for several years (1, 2), and, more recently, reviews on work stress (3) and workhours (4) have been frequently cited. We also occasionally publish review issues in topical areas, such as the latest issue on work-related stress and health (5). In 2004, the Journal launched its sister journal, SJWEH Supplements, to provide a platform for the publication of papers on themes of importance in occupational and environmental health. Material from important conferences and other events can be offered for publication in this journal. SJWEH Supplements is free to the subscribers of the Scandinavian Journal of Work, Environment & Health and offers an effective and low-cost way of disseminating information. To speed-up the flow of manuscripts, the Journal is also shifting to a full electronic submittal and review process. Electronic submission has been possible since the beginning of this year. An electronic review system of papers will also be implemented during 2007. Our experience shows that good, reliable, and trusted editors and referees are still the key issue in developing the editorial speed of the Journal. Software for electronic manuscript handling, database upkeep, and communication (called JBase) has been developed continuously over the years. This software allows global editing, tracking, and handling of manuscripts according to the Journal’s own quality process. In addition, it is now possible to have direct access to Journal abstracts from PubMed and to the online sale of individual PDFs of articles. We have also updated our webpages (www.sjweh.fi) and will continue to do so. The beginning of the Journal’s electronic version (in 2001) was a key step towards providing wider accessibility to the Journal. To further increase accessibility and publication speed, the Journal has also initiated an “online first” policy and will place all formatted articles on its webpage until the publication of the print version. Moreover, we will offer an optional open access service (chargeable). The Journal’s webpages provide further details (www.sjweh.fi). In addition, all first authors who purchase a PDF of their article will be given permission to attach the file to their personal or institutional webpages. To support the accessibility to the electronic version in developing countries, subscribers to the Journal’s electronic version from countries with a per capita GPD of less than USD 15 000 per year now receive a 75% discount. In conclusion, we feel that the Scandinavian Journal of Work, Environment & Health, now in its early 30s, is going strong. The Journal has updated its structures and processes and can now fully respond to the demands of its readers, authors, and editors. Without denying the significance of technological advances, we feel that the key factor for the success of any Journal is the ability to share an atmosphere of respect among authors, referees, editors, and organizational publishers—and the common aim of working for science and truth in order to improve occupational and environmental health. Scientific publishing based on the peer-review process is not outdated. It means that all partners can agree on a fair and irreproachable means of increasing knowledge through scientific publication.